In this episode of Spotting a Scamcoin, we perform a close examination of a particularly devious Ponzi scheme that claimed the bitcoin of what is likely to be over 100,000 people, and remark on how it is impossible to stop its next iteration, which is currently (and regrettably) in full effect. Due diligence and prior knowledge of the warning signs of a crypto scam are still no match for some people’s greed; however, those new to the game can learn from the lessons of others and may find the tale of Trade Coin Club to be valuable… along with those who just enjoy a good scam story. Trade Coin Club founder Joff Paradise, born Jeffrey Webb, is a motorcycle enthusiast from Texas, where he met his wife Tina at a gym. 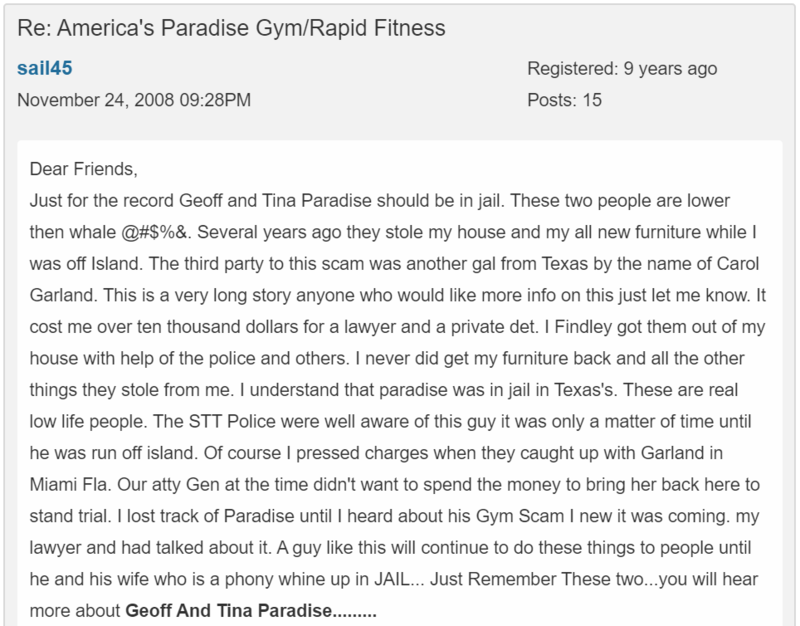 According to a St. Thomas, Virgin Islands news website article, Paradise got his master’s degree in exercise physiology and got his start as a businessman by opening and running a series of gyms in the Virgin Islands. Things did not go as well as planned as Joff and his wife seemed to have accrued quite a few critics during his residence there, some of whom went so far as to accuse him of mismanagement and even theft of property (none of these accusations can be confirmed as 100% true, however). After amassing hundreds of thousands of dollars of debt in back rent payments, Paradise left the Virgin Islands and moved to Las Vegas, Nevada. 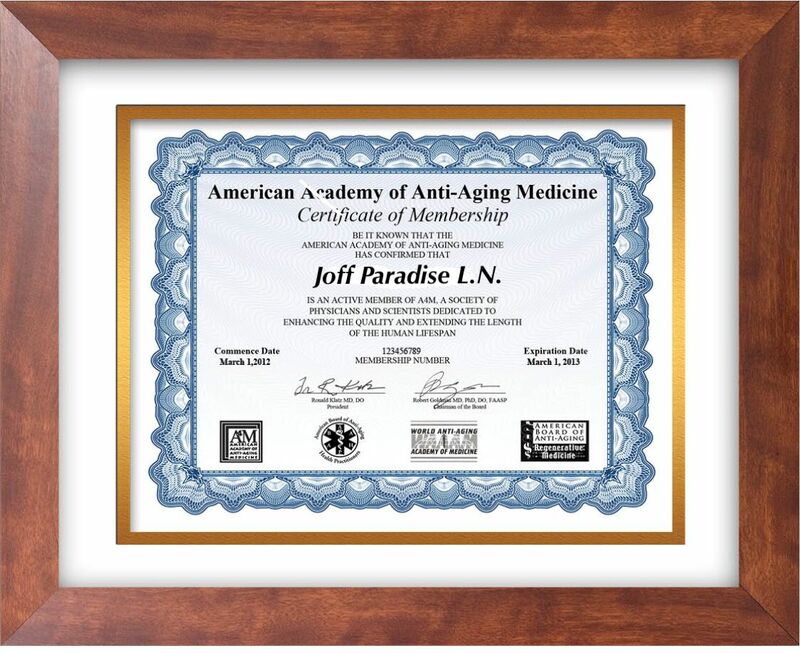 He then pursued an education in life extension, obtaining a certification of membership in the American Academy of Anti-Aging Medicine in 2012. Paradise was a heavy promoter of cannabidiol (CBD), or cannabis oil, and used it to treat pain caused by a motorcycle crash earlier in life that had left him requiring dozens of surgeries and the loss of one leg. For a short period he even ran his own CBD oil website and distribution company, which he later sold. In a June 2016 issue of online magazine Elevate, Paradise claims to have been a member of the Airborne Special Forces for 27 years, during which he was “shot four times, stabbed twice, and blown up once.” He also attributed his leg injury to his military career, a claim which was thoroughly debunked and ridiculed in the pro veteran blog This Ain’t Hell. A few months after Paradise’s assertion that he was a veteran he made a Facebook post in which he detailed a far more likely cause of his medical problems: a “horrible accident.” The accident turned out to be a motorcycle crash, and while still tragic, it is pretty far removed from his claims of having served in the military. In addition, he had accrued numerous criticisms for his business practices prior to entering the cryptocurrency industry, which is worth mentioning because it helps set the stage to what was about to unfold afterward. 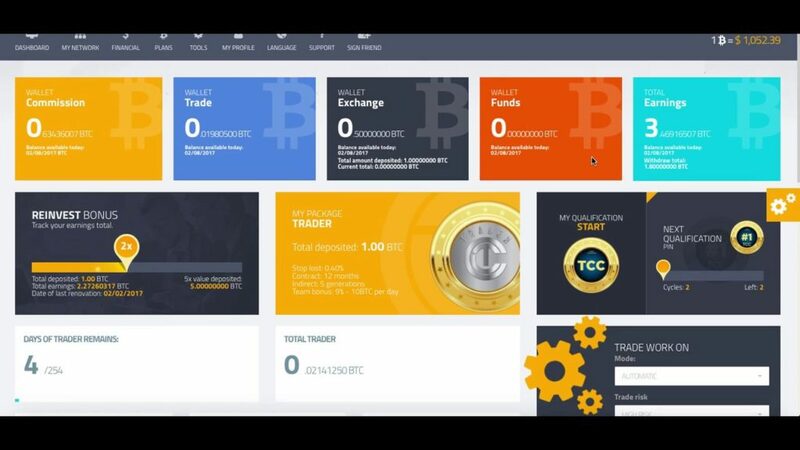 “In a competitive billion dollar market to which only a few have the access to, TCC’s software is developed by a specialized team bringing the opportunity to anybody to start in the trading market of digital coins, obtaining automatic gains in three levels of risk our semi-automatic in 30 coins, with a little or no skills in the trading world! “Founded by entrepreneur Joff Paradise, Trade Coin Club (TCC) allows individuals to tap into the emerging Bitcoin cryptocurrency trading space as a means to generate streams of income that lead to financial solvency and increased income through its proprietary software, educational products, and marketing support. This leaves an Apprentice level trader with a net loss of 0.25 – 0.200375 = 049625 BTC, after an 8 month investment. The only way to avoid the withdrawal fee is through the purchasing of a software renewal package only made available to those who have earned 1 BTC or more from their “trading profits.” This is a mathematical impossibility for anybody joining the Apprentice level membership. The real way to make money through TCC is their referral program, which pays a generous 10% “finders fee” for every new member recruited using a referral code. True to MLM standards, members also receive a cut from every new member recruited down the line from those successfully referred. Of course in their infographic, TCC didn’t keep drawing the people under levels 4 – 12, because it would begin to look suspiciously like a pyramid, which the referral program exactly is: a pyramid scheme. Like any good pyramid scheme, those who got in early and were active recruiters accumulated tremendous profits. Some of the earliest believers boasted of profits of up to 40 BTC thanks to bringing in several levels of new users. It didn’t matter that all of these profits were coming from the new users and not from any sort of actual trading activity – it was easy enough to turn a blind eye and not question where the money was coming from when times were good. When times were bad, however, things got ugly, and intense arguments between top tier members were frequently the subject of social media exposés. In the beginning of 2018, as the price of BTC began to decline and new memberships stopped pouring in, TCC suddenly decided they could no longer service U.S.-based customers, at least not in the form of BTC anyway, and forced them to convert their holdings into a fictitious cryptocurrency (without a verifiable blockchain) called T-Coin, at a rate of $5.09 per T-Coin. The only problem with this tactic was, T-Coin could only be redeemed for bitcoin on one exchange (also likely owned by TCC), and its price rapidly sank from $5.09 per coin to today’s value of $0.23 per coin. TCC never actually changed their forced cashout conversion rate, meaning members would be suffering an approximate 20-fold loss upon currently cashing out their BTC. It would be reasonable to suspect that the gig was now up, however the TCC website and corresponding exchange is operating as if business is still as usual, even after a flood of negative online reviews and scam warnings have been posted across the internet. From the looks of his Facebook page, owner Joff Paradise is as big a celebrity as ever, being a “guest speaker” at a bitcoin conference in Dubai and globetrotting the world in different speaking and promotion efforts, touting himself as a master cryptocurrency trader, and basically, visionary. When all was said and done, an estimated 100,000 people worldwide had deposited bitcoin into a Trade Coin Club account over the course of 2 years, with total deposits amounting to a bare minimum of $175 million. How much money was actually returned to investors cannot be presumed, but it is likely that the average return per member was less than half of what they had deposited. There were several other characters that had a senior level hand in the management of recruitment, but for the sake of brevity we will exclude them from this particular story. a criminal act at worst. 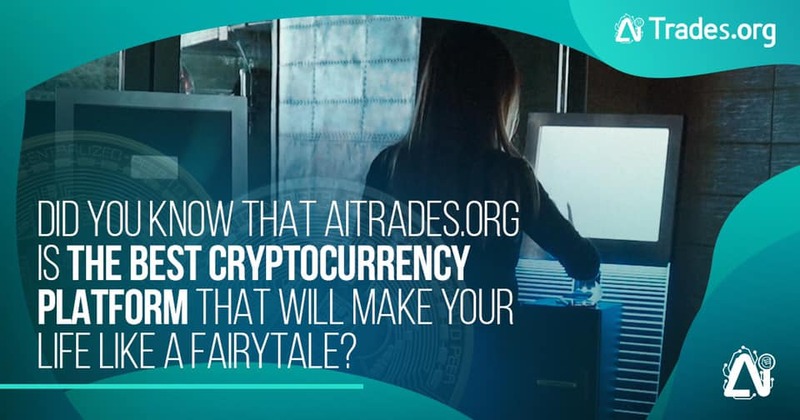 By mid 2018, the money must have started to run dry for Paradise because he opened up a new website, aitrades.org, which is ostensibly the exact same product (nothing except for a membership to a Ponzi / pyramid scheme) repackaged with an emphasis on “artificial intelligence”-driven trades. Of course there is no possible way to inspect the “AI trading software” – it is far from open source and exists only in a black box that is so black it likely doesn’t even exist. The website claims to use “AI robots” for arbitrage between exchanges, performing trades between any cryptocurrency pairs, margin trades, mining (though this one is “still in development” – feel free to insert your favorite eyeroll emoji here), market analysis and research, and even for AI-powered nodes. Of course, no Ponzi scheme would be complete without enticements of huge returns, which AI Trade is not short of. 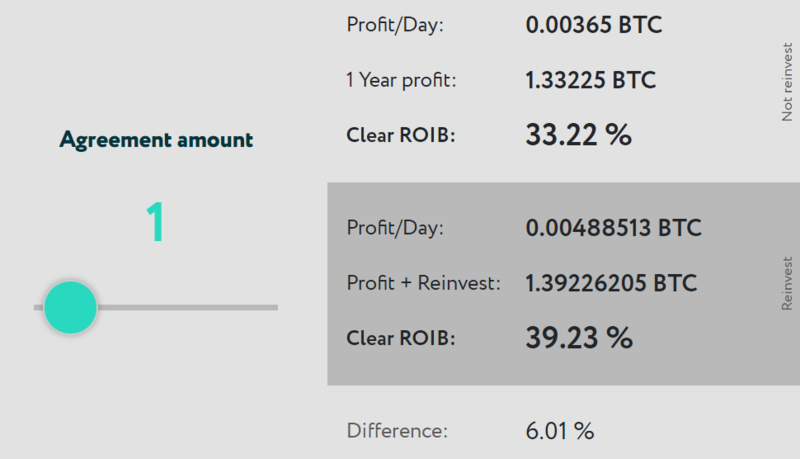 As shown above, a 1 BTC year-long investment shows a ROI of 33.22% — better than most Wall Street hedge funds. As a frame of reference, Bernie Madoff (currently in prison for running a Ponzi scheme which defrauded investors of billions of dollars) offered his clients a measly 12% ROI per annum. But wait… there’s more! Sliding the Agreement amount to 5 BTC delivers an annual ROI of 56.95%, or 72.74% if you choose to “reinvest” your daily profits back into the program. Clicking on the Our Team section reveals absolutely no information about actual team members but just offers a non-specific blurb about how the project was created by “entrepreneurs from different continents, IT professionals, professional traders and highly qualified legal Team.” Like Trade Coin Club, registration requires a referral code, since that will undoubtedly be the primary way which users will be generating income, even though there is a lack of specifics about that process at the moment. According to Joff Paradise’s Instagram page, the site is set to open on November 11th, holding its “grand launch event” in Kiev, Ukraine. 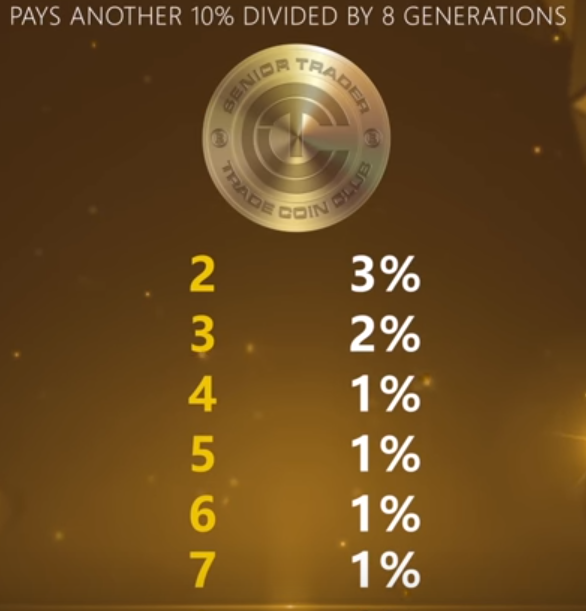 Paradise has already been touring other parts of the world – Vietnam, Korea, India – stirring up interest in his latest project, which is unlikely to stray very far in substance from his previous venture, Trade Coin Club. AI Trade is already being declared a scam by most cryptocurrency product review sites that have given it a look over, largely due to its touting of massive profits without going into any detail about how such profits are to be generated. This particular author is 100% certain that, by taking into account Joff Paradise’s previous dealings, longstanding disreputation in business affairs, and the general untrustworthiness of the AI Trade business model (as well as it fitting several standards of a Ponzi scheme to a T), AI Trade will also 100% be a Ponzi scheme, and feels unfortunate for all those about to get suckered into it. Why would anybody invest money into what is so obviously going to be a scam that, historically speaking, never ends well? Well, we can only assume it’s a combination of naivete and a blinding level of greed. The same people who poured money into Bitconnect, possibly knowing it was a scam all along, are the same types of people who are going to be attracted to AI Trade, and we just can’t stop them. We can, however, attempt to inform those who are perhaps on the fence about whether or not to get involved and draw them back on to the side of sanity. For those who require an additional nudge, we have one word for you: Ethconnect. Just remember that the sequel is usually never better than the original, even if the original wasn’t very good to begin with.